Just as I and most rationally-minded people in the world thought, it’s almost certain that the alleged faster-than-light neutrinos observed by the OPERA experiment in Geneva last fall were nothing more than a fluke due to measurement errors. As exciting as it would be for the results to be true (especially for the textbook publishing industry- every single science textbook would have to be rewritten and republished, after they rewrite the entire Standard Model of physics! ), it looks as though the hypothesis that faulty fiber optic wiring in the detectors were to blame for the 60 nanosecond discrepancy the was observed. Thought scientists apparently aren’t 100% sure that the faulty connection was indeed the cause of the error, they are quite certain that it was some sort of error and not neutrinos actually traveling faster than light. They are quite certain of this because a second experiment- the Imaging Cosmic and Rare Underground Signals, or ICARUS, which uses a different detector in the same facility as the original OPERA experiment could not replicate the results. With the ICARUS experiment, the neutrinos behaved as expected, arriving at the speed of light and obeying the laws of physics as we know them. This, however, is still not enough to put this issue to rest in the eyes of science, and several other experiments around the world intend to independently measure the speed of neutrinos. A few are scheduled to happen in May, and I’d be willing to bet that they will all show that neutrinos aren’t the rebels the initial OPERA experiment showed them to be. 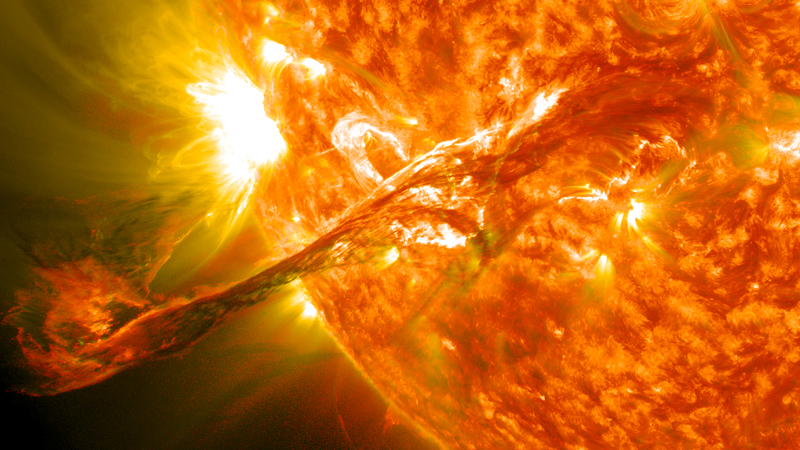 This is how real science works, and why extraordinary claims require extraordinary evidence. One experiment’s results are never, ever enough to conclusively make any kind of claim. Even with established, large-scale theories things can change as new discoveries are made. All of this via Universe Today and Live Science. You’ve no doubt already seen or heard mention of this breaking news elsewhere, but I simply must weigh-in: This morning physicists at CERN’s Large Hadron Collider announced that they are making significant progress toward discovering the Higgs boson, or what many tend to call “the God Particle.” They really are on the verge of making a discovery that will change the face of physics forever, and vastly improve our understanding of the building blocks of EVERYTHING in the universe, and how the universe came into existence. 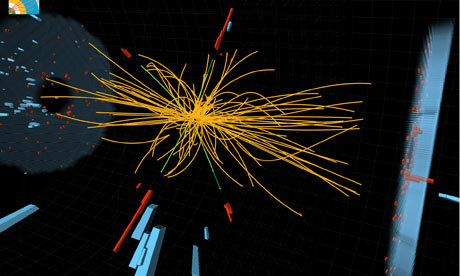 The announcement does not mean that they have found the Higgs, just that they’ve seen a series of spikes in activity (the few nanoseconds right after a particle collision) within the predicted mass range for the Higgs. They’ve narrowed its mass down to a pretty small range with a fairly high degree of certainty because they’ve amassed quite a bit of data, and the chances that this is just a statistical fluke are getting lower and lower. 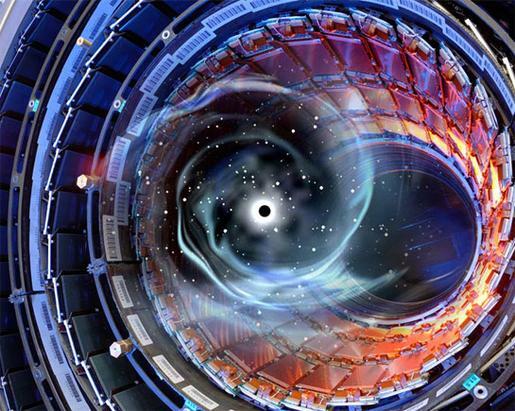 Still though, the certainty is not high enough for physicists to claim an actual discovery. 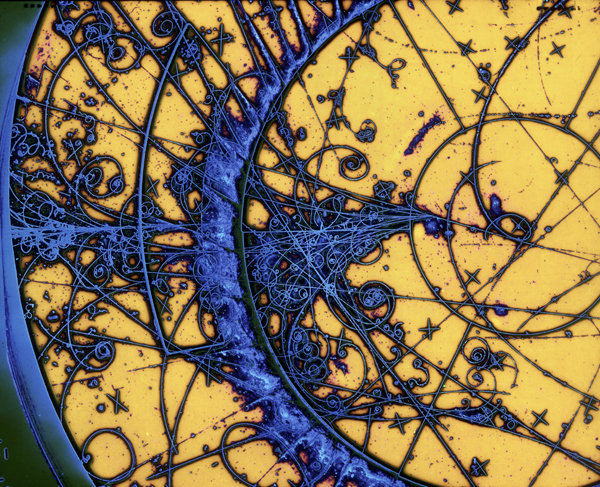 This elusive Higgs boson is the last missing “link” in the most widely accepted theory of particle physics- The Standard Model. If the Higgs is finally confirmed to exist within the range of mass predicted by the Standard Model, then this theory will essentially become rock-solid. But the beauty of science and the scientific method is that it will be just as exciting, if not MORE exciting, if the Higgs is proven to either exist outside the predicted range of mass or not exist at all! Science relies strictly on data, and if the data shows something not predicted then you go back to the drawing board and keep trying until you have a theory that fits the reality of the data. That method is infallible, and that is why I love science. the Guardian has been posting live updates to their story. But BBC News has the best coverage I’ve seen. 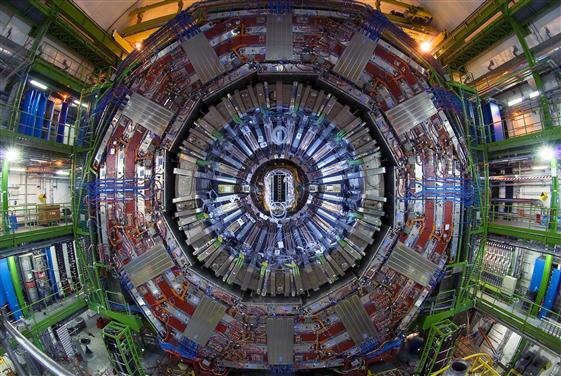 Earlier this morning the Large Hadron Collider successfully smashed two proton beams together at 3 times the previous record speed. Unfortunately, it will probably be at least a few months before we know any of the results of the collisions. That’s because there’s so much data produced from just one collision that it takes even the world’s fastest supercomputers a considerable amount of time to do all the number-crunching. In the meantime, they’ll probably be doing even more collisions at even higher velocities. Amazingly, even though they’re shattering all the records for collision velocity, this thing is still only in the testing phase. It could be at least another year before they’re smashing particles at the machine’s full potential. I especially enjoy the analogy made by Steve Myers of CERN that aligning the beams is akin to “firing needles across the Atlantic and getting them to collide half way.” Good analogies really put things into perspective. This device is easily the most significant piece of technology mankind has ever built. More can be found at Discovery News. I was also elated to see that this story made headlines on CNN.com this morning. 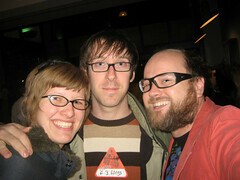 Megan and me with Rob at the Brian Wilson show last November. After hearing the song “Energy” on the last Apples in Stereo album, I thought to myself “man, Robert Schneider could easily follow in the footsteps of They Might Be Giants and make children’s educational albums.” Well, turns out he’s doing just that. Billboard reports that he’s started a side project called “Robbert Bobbert and the Bubble Machine,” and released a self-titled album last week through kiddie label Little Monster. I have a feeling the songs will still be enjoyable to us grown-ups, just like the TMBG kids’ songs are. Another little tidbit from Billboard- that big Jonas Brothers 3D movie event that was supposed to be huge, turned out to be a bit of a flop… Ha. Ha ha. & I took a picture of u & U took a picture of me. He really should turn this into a short film or something. I would hope it would come out feeling a bit like an SNL skit… but maybe with the irony a little less obvious. The Strobist is a great blog for photographers. The guy knows lighting very well, and if you’re even remotely interested in photography I highly recommend checking it out. Today I had complete jealous-gasm when I saw his post about traveling to the Large Hadron Collider to do some photos of the engineers and scientists there. I can’t even imagine what it was like to get to shoot in there. Just to be inside it…. I would probably just freeze up in utter awe & amazement. Back in those good ole days of cinema, they used an optical track on the side of film to record the sound. It was literally an optical representation of the waveform, painted in a black stripe alongside the picture. Nowadays that analog waveform has been replaced by either DTS or Dolby Digital. In the case of DTS it’s a timecode of dots and dashes to sync up with a separate CD containing the audio. In the case of Dolby Digital it’s a gray area between the sprocket holes that, when magnified, shows millions of tiny dots in a pattern, which is read by a digital optical sensor, converted into a digital signal of 1’s (represtented by a dot) and 0’s (represented by a clear space), representing the actual audio. This is a very simplified explanation, and I’m also recalling all this from my Audio for Media class waaaaay back in 2000, so if you’re reading this and you know I’ve mis-stated something, please leave a comment correcting me! Anyway… this all leads to the following video from 1951 showing film artist Norman McLaren, who literally draws sound by painting a series of dashes and shapes on the film, then running it through and optical audio reader. I’d love to try this sometime… it would be fascinating…. Via Clusterflock.